CCAI is cost effective, efficient and provides immediate feedback. Click here to learn more about the CCAI suite of products. 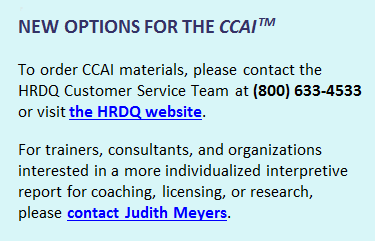 Click here for a list of CCAI products and how to purchase CCAI materials. Copyright Judith Meyers, Psy.D. All Rights Reserved.